I really have been getting in the spirit recently! I smell the familiar dampness of autumn in the air. The time has changed and the nights are dark and chilly (even before Collin’s bedtime!) giving us ample time to cuddle up and play in the warmth of our heated home. I find myself wanting to slow down, watch the leaves fall, stay in my jammies a little longer and hunker down in the kitchen cooking warm comforting food. It has made me rethink the concept behind ‘Simple Sundays’. I suppose the concept was to make things simple for me. To be able to write a quick post the night before a long week. Now it seems that the concept should reflect more of me, or more of our families philosophy. It should be a series of posts on small ways in which we aim to live our lives more simply, with less fuss and more comfort and love. 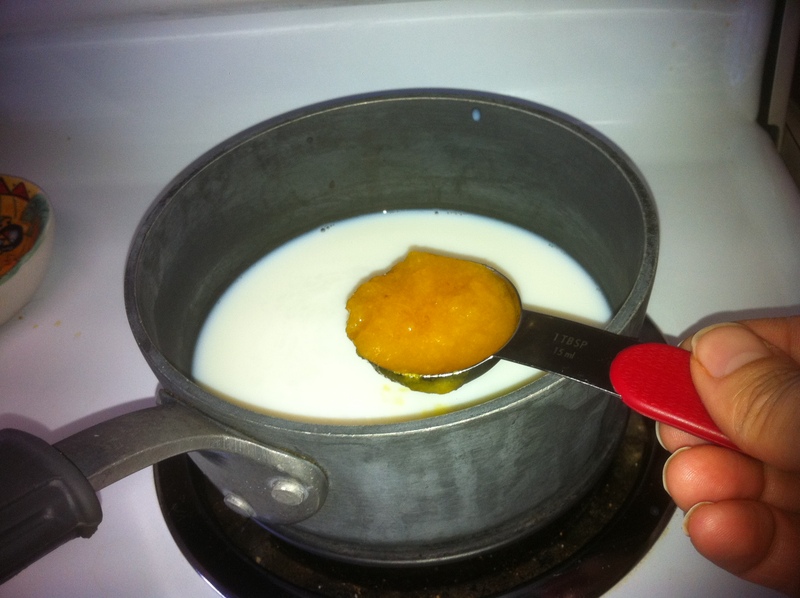 I poured some milk into a nice think bottomed sauce pan. 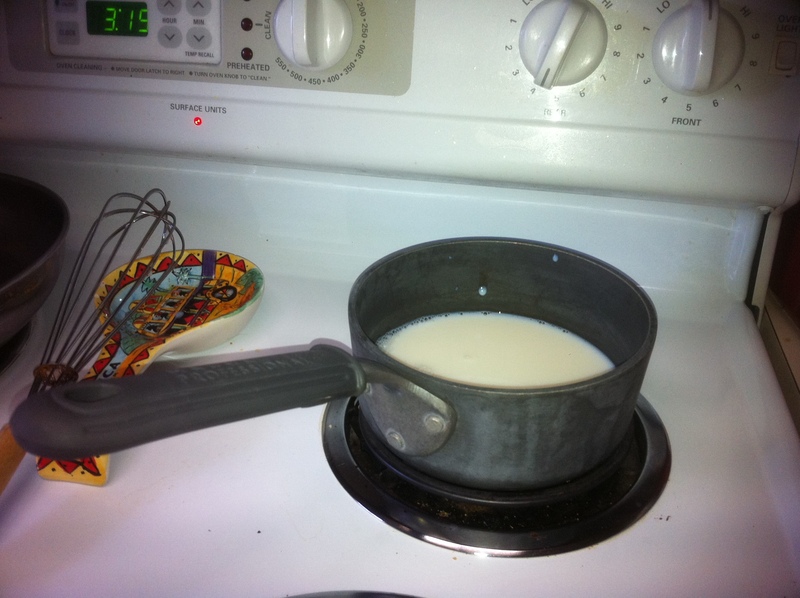 I am sure you could use any milk, though some non-dairy milks will chance consistency when you heat them. I used non-fat milk and a splash of Collin’s organic whole milk just for texture. I added some pumpkin puree. Granted this TOTALLY added to the simplicity of the latte. During this time of year it’s fun to always have some pumpkin around 🙂 It ended up being about three tablespoons. 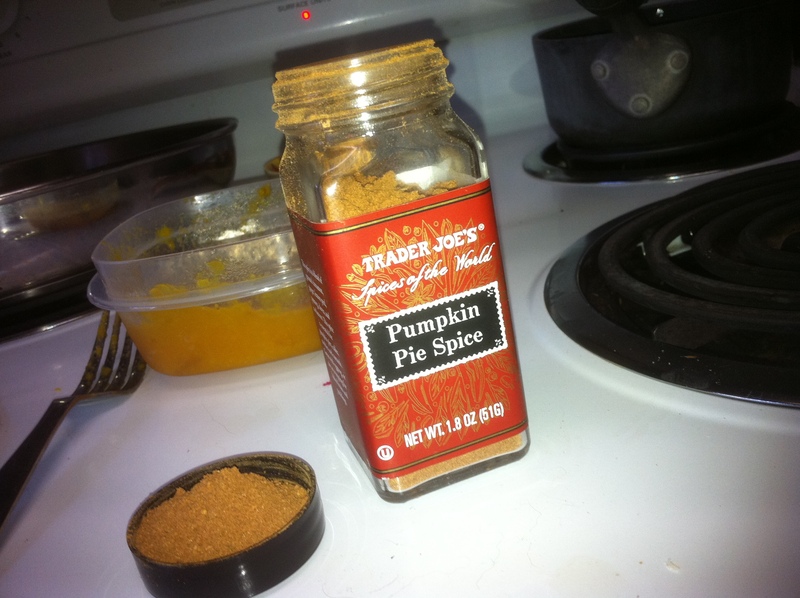 Then as it warmed I stirred in about 1/2 tablespoon of T.J.’s Pumpkin Pie Spice. This is a wonderfully warm and spicy mix. Add more and you get a heart warming chai flavor. I would imagine you could also add sugar at this point though I’m not much for sweets myself. Yum, yum, yum!! So warm, smooth and tasty. A special treat for a girl who drinks her coffee steaming hot and black. I sipped this while planning my weekly menu as Collin and Dada played in a tunnel/fort/box with pumpkin lights. Dada got a little football in too. 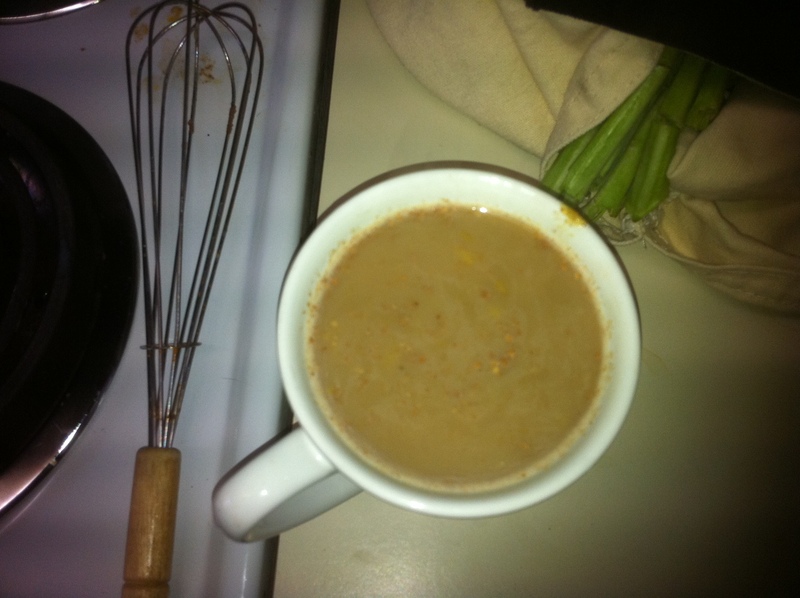 There you go, my four step, simple pumpkin latte!